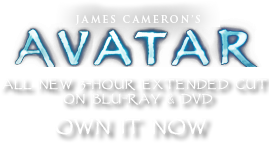 War Drums | Pandorapedia: The Official Guide to Pandora | Own AVATAR on Blu-ray & DVD Now! These war drums are played for rituals during times of conflict and for any social dances or songs that deal with battles, either current or historical. Usually played by one drummer, this drum is thought to be one of the oldest membranophones (an instrument whose sound is produced by a vibrating membrane or skin) on Pandora. In addition to providing rhythmic accompaniment, the war drums are also used to play the warning rhythms used by other large drums to signal the approach of danger. The war drums are not used to actually warn of danger, however, since their volume is not loud enough to carry for any great distance. But they play warning rhythms for pre-battle ritual activities and social songs or dances that are associated with battle. Function Ritual and social use during times of conflict. Size and Weight 3.5 meters in diameter, eight kilograms. Materials and Construction Wooden log, paint, woven materials, leather, rope. Log is carved into shape of shallow bowl, then covered with sturmbeest bladders. Held aloft by large branches bound together in triangular support structure. Long wooden beating sticks are padded with hexapede hide.